1) (Ipswich and Oxfordshire). Or, on a fesse vert a bull pass. ar. 2) (Suffolk). Erm. on a chev. engr. ar. betw. three griffins’ heads erased as many lozenges. Crest—A griffin segreant. 3) (Cheam, co. Surrey). Ar. on a fesse vert a bull pass. of the first. The last name Aldrich has two main origin theories and meaning. First, it is a baptismal surname meaning “the son of Alderich”, “the son of Aedelric” ,”son of Alrich”, or “son of Ailric” deriving from these Middle English old personal (first) names, which in the Domesday Book of 1086 AD, a survey of Wales and England ordered by William the Conqueror, were also spelled Ailred, Aldret and Eldred. The names appear to be of Saxon origins. The Saxons were a Germanic tribe living near the North Sea during the time of the Roman Empire in modern day Scandinavia, Germany, Belgium, and the Netherlands. Second, it could be a medieval locational surname denoting a person from villages named Alridge in county Staffordshire, England, Aldridge Gorve in Buckingham, or another village near Worcester. The name derives from the Old English words adel (noble) and ric (ruler). It should also be noted the masculine given name Ælfric means “elf ruler. Common spelling variants or names with similar etymologies include Aldridge, Aldrydge, Alrich, Aldrech, Alldridge, Allderidge, Aldrick, Elderidge, Eldridge, Elrick, Oldridge, and others. The last name Aldrich ranks 1,939th in popularity in terms in the United Status as of the 2000 Census. The name ranks particularly high in the following nine states: Michigan, Washington, Iowa, New Hampshire, Connecticut, Vermont, Idaho, Rhode Island, and Montana. The surname Aldrich frequency/commonness ranks as follows in the British Isles: England (7,731st), Scotland (11,040th), Wales (6,104th), and Ireland (31,207th). In England, it ranks highest in counties Suffolk and Norfolk. The name is also present throughout the remainder English speaking world: Canada (8,700th), New Zealand (9,394th), Australia (10,767th), and South Africa (8,421st). The 1890 book Homes of Family Names by H.B. Guppy, states the following in regard to this surname: “Aldrich and Aldridge are, for the most part, east country names, and they have been so for six centuries and more. At present they occur mostly in Suffolk, Norfolk, Surrey, Herts, and Berks, with a few in Gloucestershire. In the 13th century they occurred in the forms of Aldrich and Aldric in Norfolk and Cambridgeshire (H. R.). Aldrich is an ancient personal name”. The earliest known bearer of this surname was Hugo Aelrici who was recorded in the Rolls of the Abbet of Bury St. Edmunds, Suffolk in 1095 AD. Drogo de Alrewich was listed in the Pipe Rolls of Stafford in 1202 AD. Richardus Alurici was documented in county Warwickshire in 1209 AD. Robert Alyrych was documented in Huntingdonshire in 1279 AD. William Eldrich was documented in Surrey in 1336 AD. The Hundred Rolls of 1273 AD, a census of Wales and England, known in Latin as Rotuli Hundredorum lists one bearer: John Aldrich in county Cambridgeshire. William Ailrich was recorded in county Somerset in 1327 according to Kirby’s Quest. The Poll Tax of Yorkshire in 1379 AD lists one bearer of this last name: Robertus Aldrech. The Calendarium Rotulorum Patentium in Turri Londinensi John filius Aldrech. The Writs of Parliament lists one John Alrich. According to the History of Norfolk, by Blomefield and Parkin, a one John Aldrech was the bailiff of Yarmouth in 1469. An early marriage involving this surname was Peter Aldrich to Catherine Rowel in London in 1609 or 1610. Henry John Aldrich was born in Norwich, Norfolk, England in 1530. He had a son named William. This William was born in the same area in around 1545 and he married Mary Chase. Their son was George Aldrich I, who was born in England around 1574. He married Joan Thurgood and had a son with her named George II. This George II was born in Derbyshire around 1605 and he married Catherine Seald. He went to colonial America. They had ten issue together: Abel, Joseph, Miriam, Experience, John, Sarah (Bartlett), Peter, Mercy (Randall), Jacob, and Martha (Dunbar). His son Joseph Aldrich or Aldridge was born in Dorchester, Massachusetts in 1635 and he married Patience Osborn. They had six children together: Joseph, Samuel, Ephraim, John, Mary (Hyde), and Sarah. His son Samuel was born in Braintree, MA in around 1665. He married Jane Puffer and had the following issue: Samuel, Peter, James, and John. His son Samuel Aldrich was born in the same town in 1681 and he had two issue: Samuel and Reuben. His son Samuel was born in Smithfield, Providence, Rhode Island in 1772 and he married Elizabeth Keeley. They had a son named Samuel who was born in 1757. He married Rachel Bassett and had a daughter with her named Joanna Aldrich who was born in 1781 and married Arioch Comstock in 1800, with whom she had a daughter named Welcome A. Comstock. William Aldrich was born in Yarmouth in Norfolk, England around 1421. He married Mary Lancaster and had a son with her named William. This William was born in the same city in around 1446. He married a woman named Alice and they had a son named Thomas. This Thomas Aldrich was born Norwich in 1473 and he married Elizabeth Clark. They had four children: Thomas Jr., Margaret, John, and John Alred. His son Thomas Aldrich was born in 1501. He married Cecil Bishop and had three issue with her: John, Rose, and Anne (Chapman). His son John was born in Norfolk, England in 1538. 1) George Aldrich, of Dorchester, Massachusetts, who was a freeman in 1636. He lived in the town of Braintree, MA and was one of the first settlers of Minden in 1663. He married a woman named Catherine (last name not known) and had eight children with her: Meriam, Sarah, Experience, Mercy, Peter, Meriam, Jacob, and Mattithiah. 3) Henry Aldrich of Dedham, a freeman in 1645, who had a son named Samuel in March of 1645. 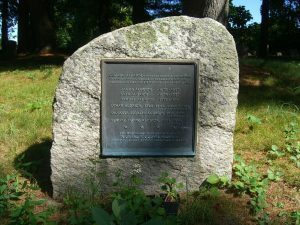 Other early settlers in colonial America include Robert Aldrich (Massachusetts 1656), Susanna Aldrich (Pennsylvania 1732), and Pieter Aldrich (Pennsylvania 1732). In Canada, one of the earliest bearers of this surname was Philip Aldrich who arrived there in 1839. Charles Bolton’s American Armory (1927) contains one entry for this surname: Azure on a fess a bull passant guardant. Notepaper Lilian, Mrs. Thomas Bailey Aldrich, 59 Mt. Vernon St., Boston. Crozier’s General Armory contains one entry for this surname: Thomas Aldrich of Boston, Massachusetts in 1752, came from Lancaster, England. Ermine on a chevron engrailed argent, between three griffins’ heads erased, as many lozenges. Matthew’s American Armoury (1907) and do not contain entries for this surname. I have been unable to identify the Aldrich family motto. There are hundreds of notable people with the Aldrich surname. This page will mention a handful. 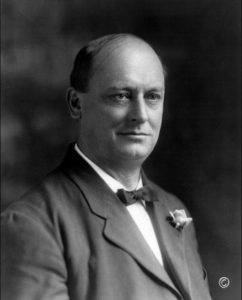 Famous people with this last name include: 1) Charles J. Aldrich (1850-1929) who was born in LaGrange, Indiana and because the Solicitor General of the United States, 2) Chester Hardy Aldrich (1863-1924) who was the 16th Governor of Nebraska, as well as an Associate Justice on the Nebraska Supreme Court, 3) Loyal Blaine Aldrich (1884-1965) who was an American astronomer and astrophysicist who was born in Wisconsin and worked with the Smithsonian Institute, 4) William Farrington Aldrich (1853-1925) who was a member of the U.S. House of Representatives for Alabama in 18896 and 1897, who was born in Palmyra, New York, 5) Truman Heminway Aldrich (1848-1932) who was a civil engineer, mining executive, and paleontologist who was born in Palmyra, New York who became a Member of the US House of Representatives and Postmaster of Birmingham, 6) Thomas Albert Aldrich (1923) who was a Major General in the United States Air Force born in Rosebud, Texas who commanded the Twenty-Second Air Force, 7) Robert Burgess Aldrich (1918-1983) who was born in Cranston, Rhode Island and was an American film writer, director, and producer known for movies such as The Longest Yard and The Dirty Dozen, 8) Pieter Aldrich (1965) who was a South African professional tennis player from Johannesburg who won two Grand Slam double’s titles (US Open and Australian Open), 9) Admiral Pelham Aldrich (1844-1930) who was a Royal Navy officer and explorer born in Mildenhall, Suffolk, and 10) Nelson Wilmarth Aldrich (1841-1915) who was a United States Senator from Rhode Island who married into the Rockefeller family, whose descendants between became influential bankers and politicians. The two main devices (symbols) in the Aldrich blazon are the bull and griffin. The three main tinctures (colors) are vert, argent and gules .